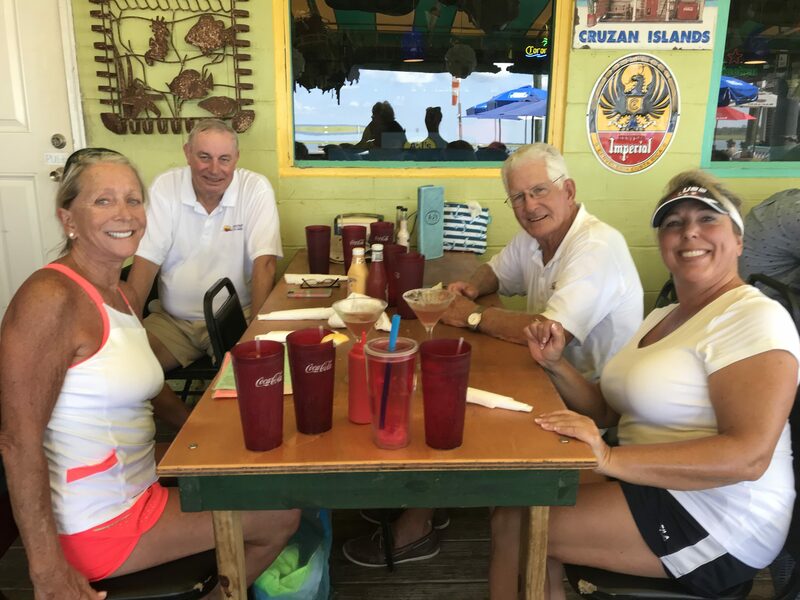 Home - Skidaway Island Boating Club, "SIBC"
We love to meet and do anything we can think of in sight of, near to, or on the water! Owning a boat is not a requirement. Everyone who loves the water and our beautiful Skidaway waterfront is welcomed! It’s 5 O’clock Somewhere” Cocktail Challenge!! Do you have a favorite cocktail? 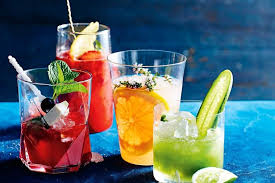 Then have some fun and join us for the SIBC “It’s 5 O’clock Somewhere” Cocktail Challenge!! 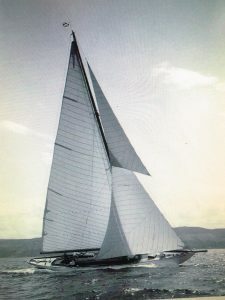 The event will be held on Wednesday, May 15, 2019 at Landings Harbor from 5-7 PM. 1) RSVP! to SIBoatingClub@gmail.com Let us know whether or not you intend to join the fun no later than Friday May 10th. 2) Indicate if you are entering the cocktail challenge and please provide the name of your award winning cocktail entry at the time of RSVP. – Bring at least ½ gallon of your concoction to Landings Harbor prior to the 5 O’clock PM start time. – SIBC will set up the Tiki Bar area and surrounding tables with name tags identifying your drink station as well as provide sampling cups for you to serve your cocktail to the membership. 3) If you plan to attend and are not entering the “Cocktail Challenge” please bring an appetizer to share. The membership in attendance will vote via ballot (one vote per member) on the best cocktail of the evening. Prizes will be awarded to the winning cocktail and the runner-up. Bring your lawn chair and as always BYOB if you want. Let’s have some fun! Once again, your RSVP for attendance and whether or not you intend to enter your cocktail in the challenge is requested no later than Friday, May 10th. If you would like to volunteer to help plan and setup for the event, please include that in your RSVP as well. This will be an exciting event to kick off the summer season. Happy cocktail making everyone! We have kicked off our 50/50 raffle to benefit the Tiny House charityRaffles will be held at each SIBC event this year. Tickets are 1 for $1; 6 for $5; or “Lucky” 13 for $10. Exact change is appreciated. The Social committee has put together some new and fun events for this year, like “It’s Five O’Clock Somewhere” cocktail party, a sunset cruise and a Sunrise Breakfast. We will be featuring a 50/50 raffle at each event (beginning in February) with proceeds going to a local organization – one we hope you will help us choose from one of the suggested (they will be featured at the event) or one that you may have in mind. The 2019 Membership dues can be paid by Paypal or credit card (below) or by sending (mail or tube) a check made to “SIBC” to Susie Fusco at 3 Brooks Lane Savannah, GA 31411. Close to 90 SIBC members started the new year in style with our annual kick-off dinner and new member sign-up, held Jan. 17 in the Plantation Ballroom. 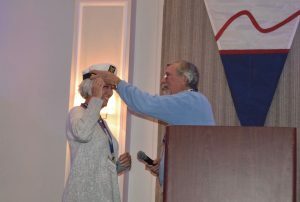 The festive and informative kick-off event featured a delicious three-course dinner, an update on planned events, and the transferring of the captain’s hat to in-coming commodore Paulette Hamilton. Members also voted on which charitable organization the club will support through its fundraising efforts. 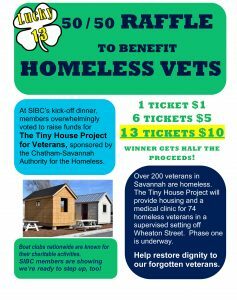 The final tally clearly showed our overwhelming support for The Tiny House Project for Veterans, sponsored by the Chatham-Savannah Authority for the Homeless, which received more than half the votes. Our donations to this sorely needed project off Wheaton Street will help restore dignity to our forgotten veterans. 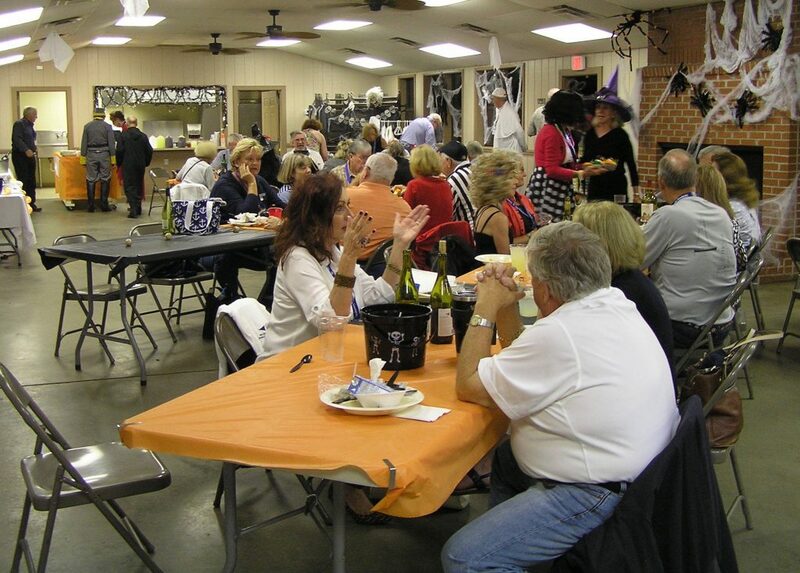 Boat clubs across the country are known for their charitable activities. SIBC is ready to step up, too! 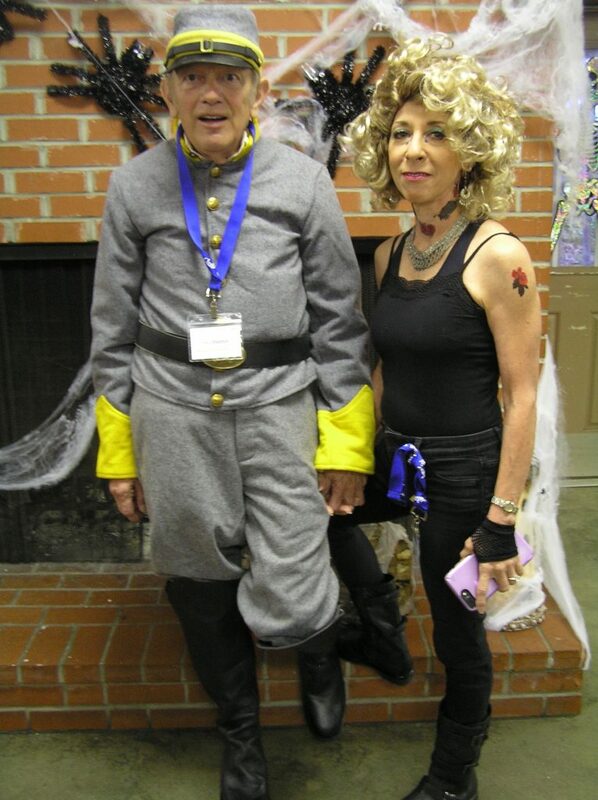 The “Tall Tales” Potluck Dinner, was held at the Skidaway Island State Park’s Group Shelter Building. We enjoyed friendship around the fireplace as Lee Carroll, our well travelled skipper, espoused a few tall tales from his voyage from Manila to Hong Kong. There was no charge for this potluck dinner and BYOB event. The club held our annual “burning of the socks” event at Landings Harbor. We brought our old worn out cotton socks to be burned that symbolized the beginning of the boating season where we shed our winter clothes and welcome the coming of spring! 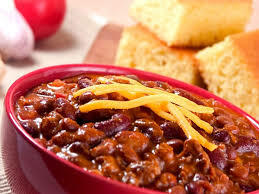 This event was BYOB with chili (meat and vegetarian) and cornbread compliments of The Marshes of Skidaway Island. 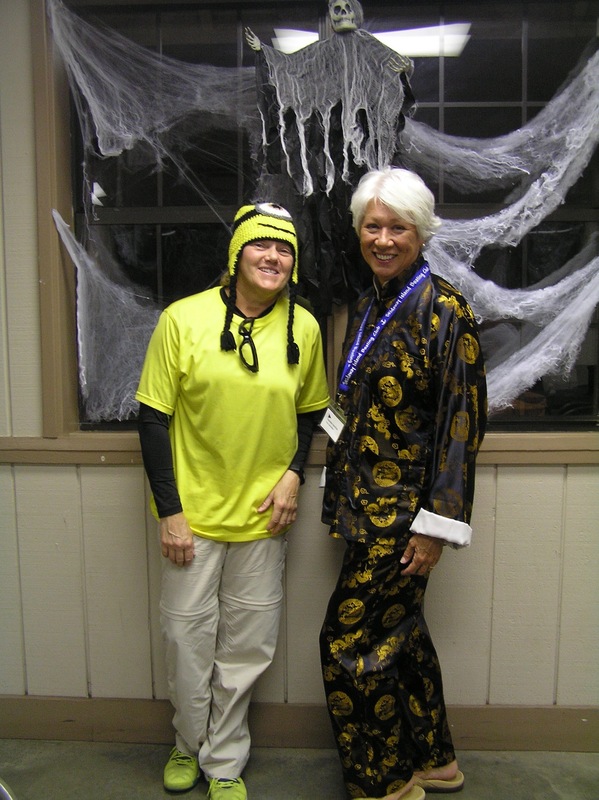 Our guest speaker was Ms. Cindy Kelley, the Executive Director of the Chatham Savannah Authority For The Homeless. Members were requested to bring a package of new white cotton socks for donation or a suggested cash contribution of $10 to aid in this worthy cause supporting the Savannah community. 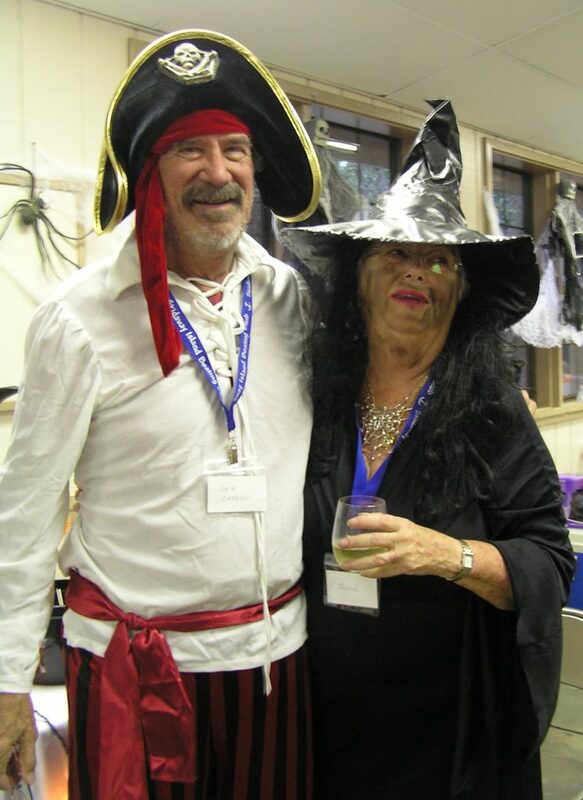 The Skidaway Island Boating Club (SIBC) celebrated the traditional end of the boating season with a “Spooktacular Year-end Bash” which was held on Thursday, October 18th. 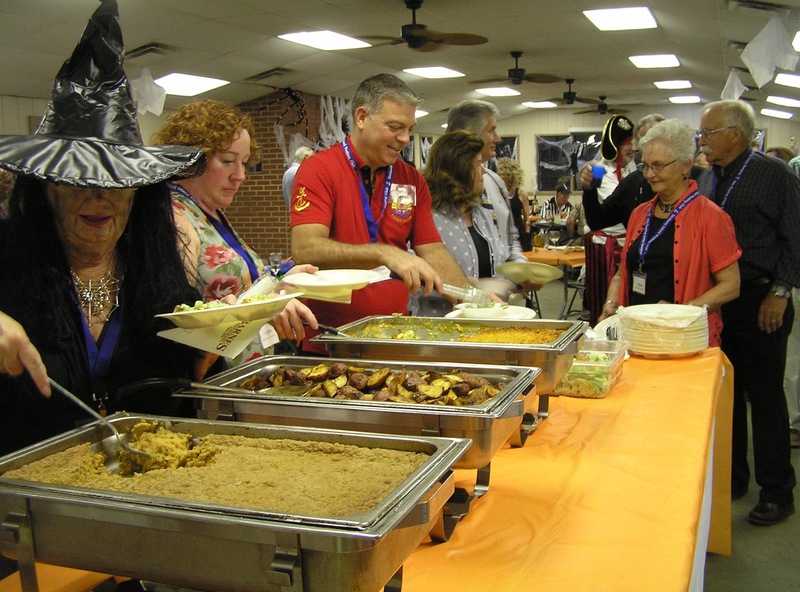 The Year-end Bash was a monstrous success, with Spooktacular decorations, devilishly good food, and a frightfully good time enjoyed by all. 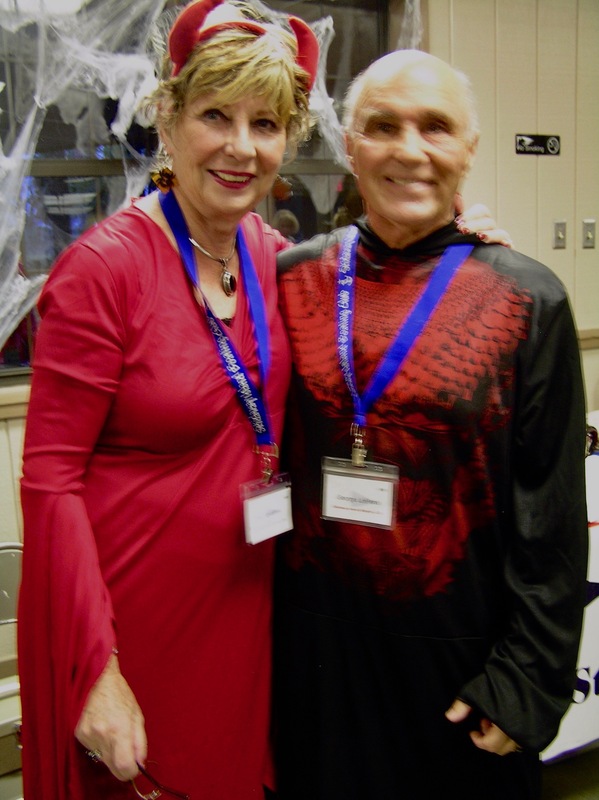 Ghosts fluttering in the breeze welcomed guests in the entranceway, Barnes Catering served up fantastic food, and the music kept everyone in the mood! Many embraced the spirit of the evening, attending in costume. 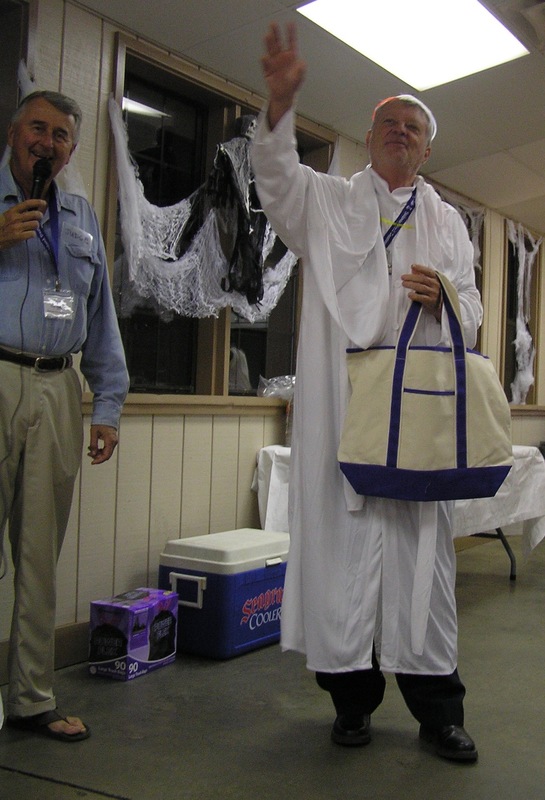 Judges awarded prizes for some very unique categories, which were won by a biker chick, a Pope, and a 1950s sock-hopper! Three cheers for all of our contestants! 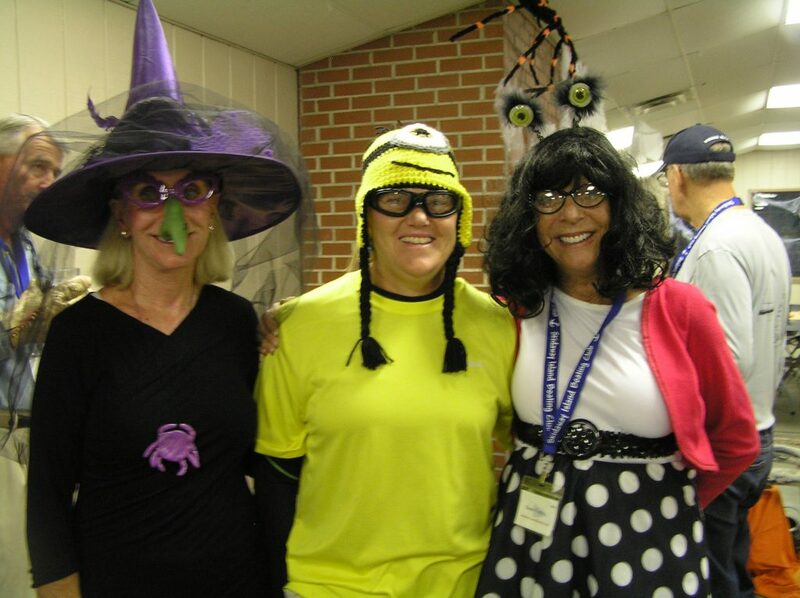 Many thanks to Susie Fusco and her crew for putting this event together. 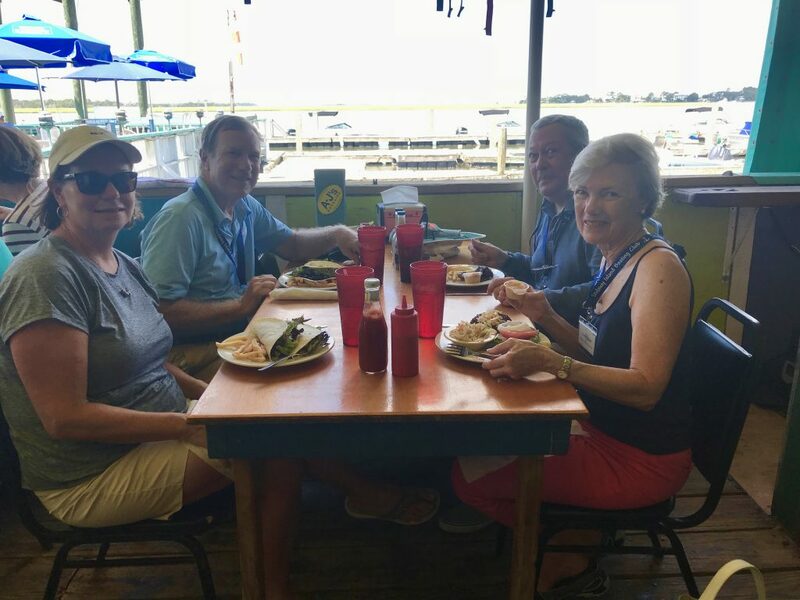 The event marks the traditional end of the boating season, even though boating is enjoyed year-round here on Skidaway. Keep an eye out for announcements on SIBC social events in future newsletters as you enjoy the upcoming holidays. 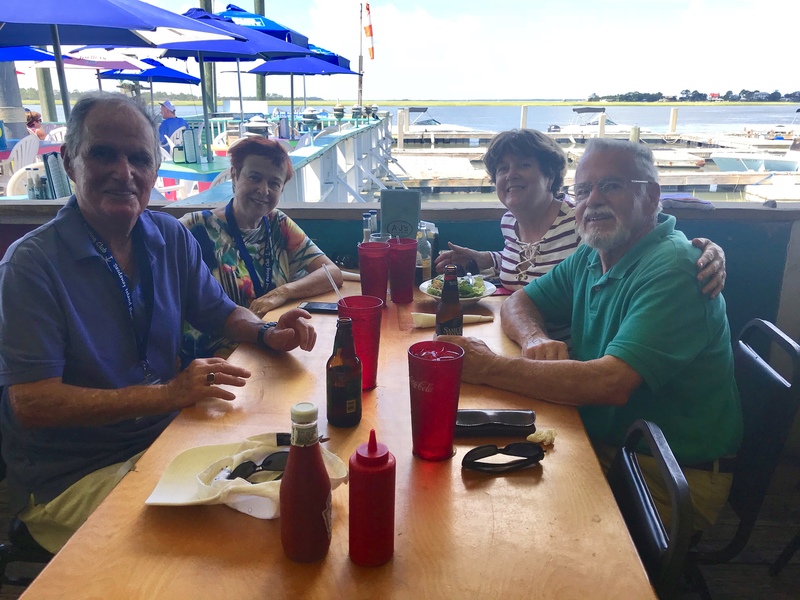 On September 11th, the Carefree Boat Club hosted a cruise to A-J’s for lunch. Sixteen SIBC members participated; it was a picture perfect day to enjoy the hour long cruise. 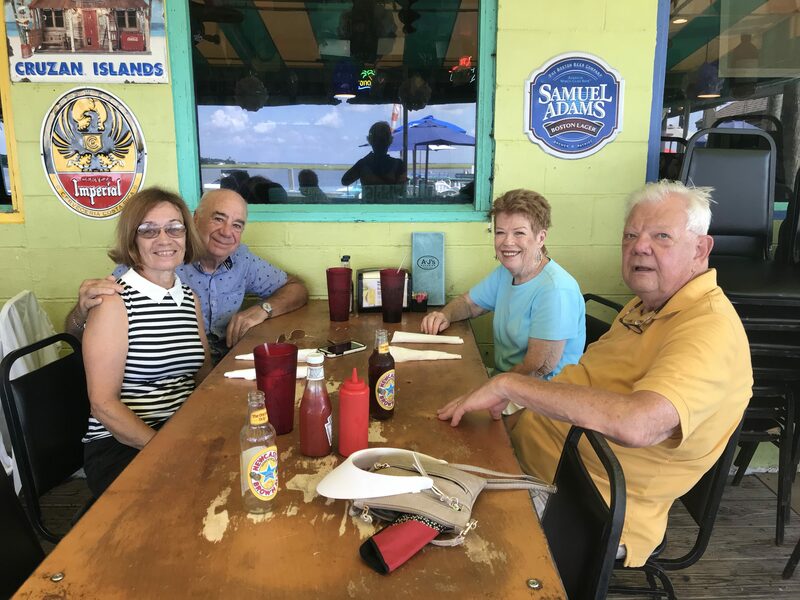 A big thank you to the Carefree Boat Club for their generosity! 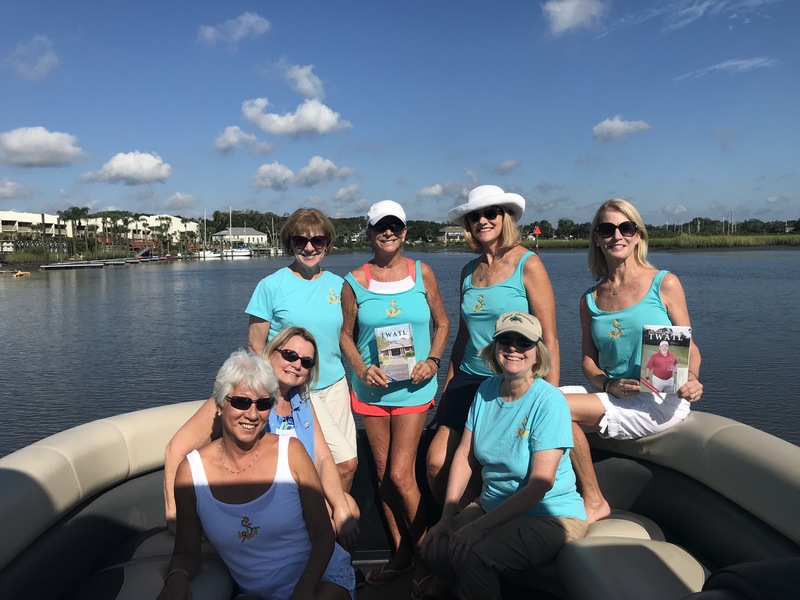 Also in September, A group of women from the SIBC, known as the Sea Sisters (a faction of the Carefree Boat Club) took a short holiday in St. Augustine, FL. St. Augustine, founded in 1565, is the oldest city in the US. 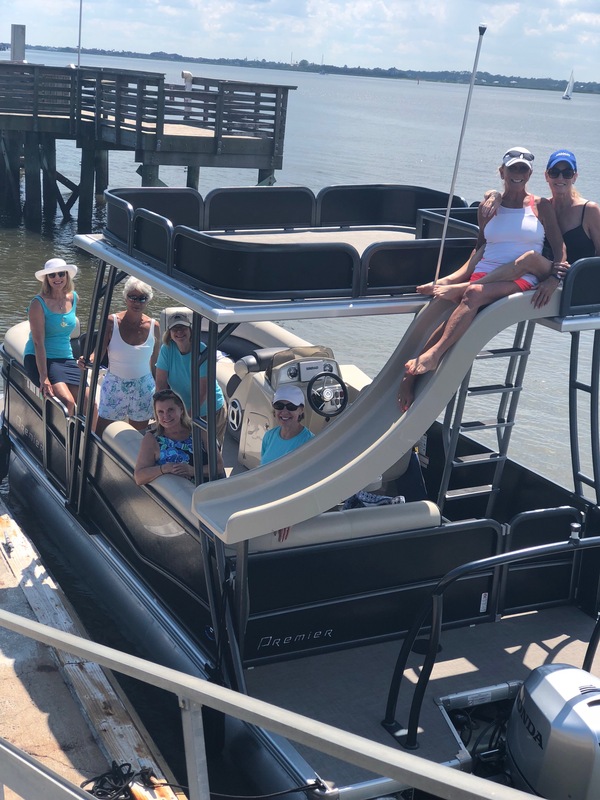 The Sea Sisters took advantage of one of the benefits Carefree Boat Club offers – reciprocity with other Carefree locations. 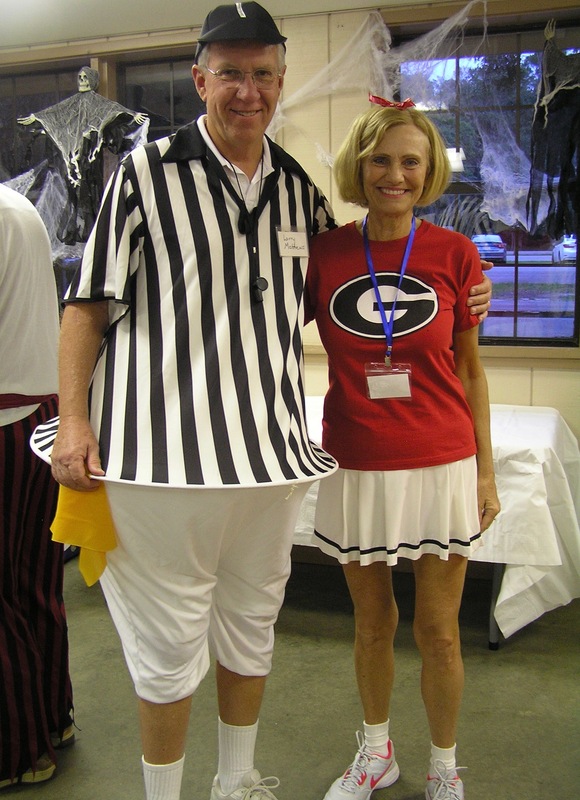 They cruised the intercostal waterway on a 22′ pontoon boat named General Relativity. 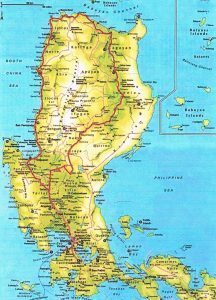 Questions about the club and events? Not an SIBC member? Why not JOIN NOW! Fill out the APPLICATION and pay your dues on the same page!